Ms. Edenfield focuses her practice on governmental affairs, environmental land use and administrative law. Now in her 30th year of private law practice in Tallahassee, she has gained a wide variety of experience representing clients before the Florida Legislature, the Governor, the Cabinet and state agencies. Ms. Edenfield utilizes her political leadership skills to advocate for her clients and coordinate a legislative team. 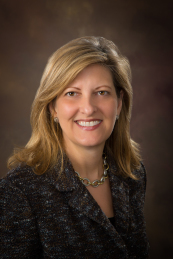 Ms. Edenfield has extensive experience as legal and governmental counsel for agricultural trade groups, industrial associations, medical professionals and local governments. Statutory rewrites to modernize the Florida Trust Code, the Florida Probate Code, the Florida Uniform Principal and Income Act, the Florida Uniform Disclaimer of Property Interest Act, the Florida Power of Attorney Act, and the Florida Land Trust Act. Expanding the courts power to appoint a court monitor and creating emergency court monitors. Enactment of public records exemptions for court monitors and estate inventories. The Patient Self-Referral Act of 1992. The 1996 Administrative Procedure Act rewrite. The Florida Brownfield Redevelopment Act of 1997. Reorganization and rewrite of Part VII of Chapter 373, F.S.,Water Supply Policy Planning, Production and Funding (2010). Reorganization and rewrite of Part III of Chapter 479, F.S., Sign Removal (2010). Innovative funding options for local governments for improved transportation infrastructure, new sports and recreational venues, stormwater treatment facilities, economic development incentives, brownfield remediation and preservation of conservation lands. The nationally recognized statutory protection of private property rights requiring just compensation for outdoor advertising property interests. Grandfather provisions for private interests and governmental entities. 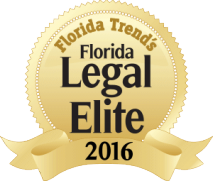 Exemption from regulation under the Florida Insurance Code for private entity. Local bills on behalf of governmental entities.